If you only eat one meal out while you're in our area, you owe it to yourself to have dinner at McLintocks restaurant in Shell Beach. This is the place for steak and seafood... it just doesn't get any better! It's not just that the food is always great... but the casual western atmosphere and fun attitude of the staff has always impressed me. Within a minute or two of being seated, you'll have a big basket of onion rings to nibble on... and from that moment on, there will always be something at the table for you to eat. There are several good places to get a steak in San Luis Obispo county, but what sets McLintocks apart from the others is that you don't just get a great entree... everything that comes with the meal is wonderful. I mentioned the onion ring appetizers (and they're free)... they also have these GREAT potatoes that they serve with the meal, and warm garlic bread, too. They'll even bring you more if you finish the first batch. 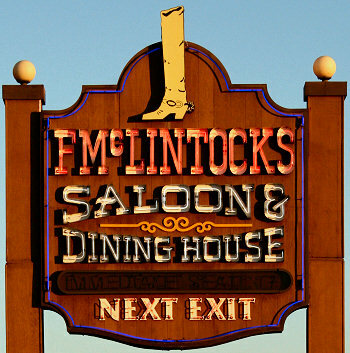 There are several McLintocks restaurants in the county... but the one you want to go to is the original "saloon & dining house" on Mattie Road, right alongside highway 101 in Shell Beach. (Also known as Pismo Beach.) The smaller McLintocks restaurants in Arroyo Grande and San Luis Obispo don't quite have all the magic of the original location. If you like great Mexican food, let me point you to the restaurant that I go to more often than any other. I love the food, and the prices, too! It's really very reasonable, and consistently good. It's called Old Juan's Cantina, and it's located just south of Pismo Beach on Highway 1 at Pier Avenue, in the town of Oceano. One of the things I like about Old Juan's is similar to a great thing about McLintocks... they give you something to munch on practically the minute you are seated. In this case, it's really good chips and salsa... and they're quick to bring a new basket if you empty the first one. Old Juan's has all the normal food items that you would expect at a great Mexican restaurant, as well as a full bar. I've never had a bad meal there! My favorite meal there is actually so inexpensive that I end up leaving more than a 50% tip just out of guilt for how small the bill is... it's the nachos from the appetizer menu. Ask them to add some shredded beef to it, and it's a meal. In fact, the large nachos will easily feed two people... and I think it's somewhere around a $10 item! 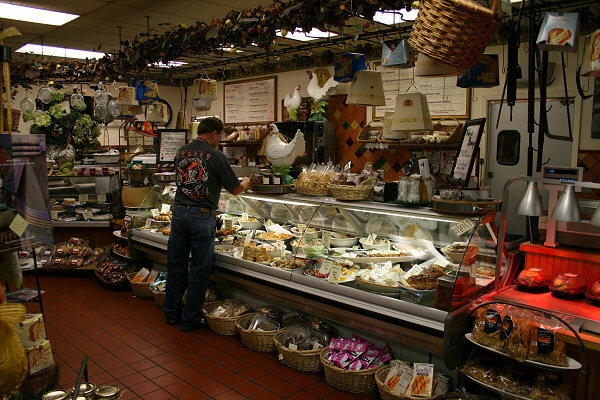 If I accomplish nothing else with this page, I want to at least point you to one of the greatest (and least well known) lunch spots in our area. This place has got wonderful fresh seafood as well as delicious Mexican food... with an incredible view, a super-casual setting, and prices that make this one of the best bargains around. 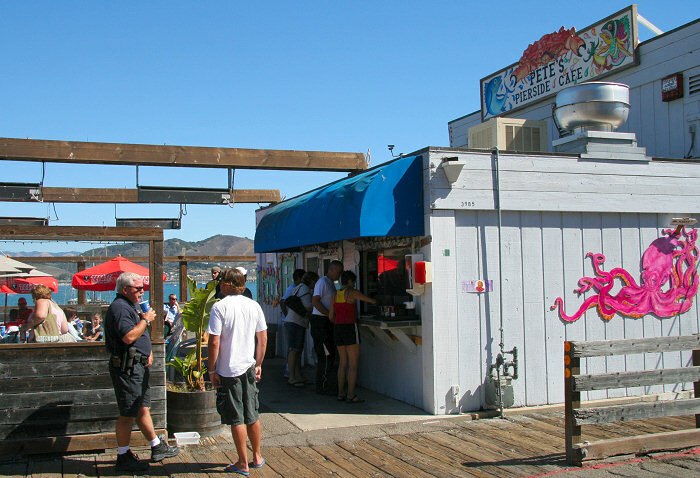 You'll find this little gem down at the end of the pier in Port San Luis... but it's not the big tourist-trap restaurant where Kellyn and I have had several fairly expensive meals that just weren't that good... it's the little hole in the wall take-out place a few feet away. Drive on down to Avila Beach and then just keep following the road until it ends at the parking lot and the pier at Port San Luis. Park your car and walk down the pier until you see Pete's Pierside Cafe on the left side. You can thank me later! I personally like the shredded beef enchiladas... Kellyn likes the fish tacos. The clam chowder is great, too. My only complaint is that the serving sizes of the soft drinks are too small... so just plan on ordering a second drink for yourself if you eat something spicy. Try to visit Pete's Pierside Cafe on a sunny day with no fog. All the seating is outdoors, and it's fantastic on a sunny day but not so great when the fog is in! Another nice little lunch spot you would probably never find on your own is a little neighborhood deli called DePalo & Sons, which is located near Spyglass Drive in Shell Beach. Have them make you a nice sandwich, or enjoy one of their many entrees. There's seating outside, or take it "to go" and enjoy it in your hotel room or at the beach. 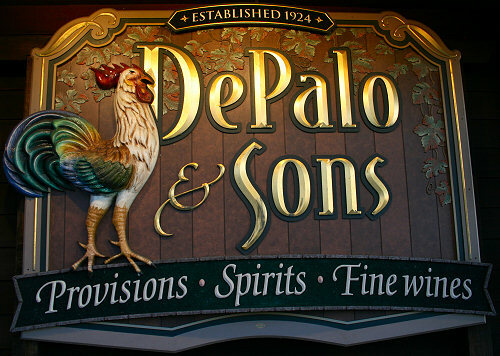 Our daughter worked at DePalo & Sons for a short while before she married and moved out of town, and I was always impressed with how well they treated her. If you're looking for a nice burger... try Garlands, on Grand Avenue at 7th Street in Grover Beach. I like "the Garland Basket"... which includes a burger, soft drink, french fries, and even a few onion rings. For pizza in a unique setting, head over to the old village section of Arroyo Grande and follow your nose to Klondike Pizza... on West Branch at the corner of Bridge Street. As the name Klondike implies, they've got an Alaskan theme going... and it's a lot of fun. Of course, I wouldn't recommend it if the pizza wasn't good, too! Our kids always preferred Klondike over my other favorite pizza places because the pizza is just a little less spicy and just a tiny bit sweeter than what you get at most other pizza places. Of course, we've got Denny's and IHOP and many of the other familiar breakfast places... but let me point you to a little gem that you probably wouldn't find on your own. 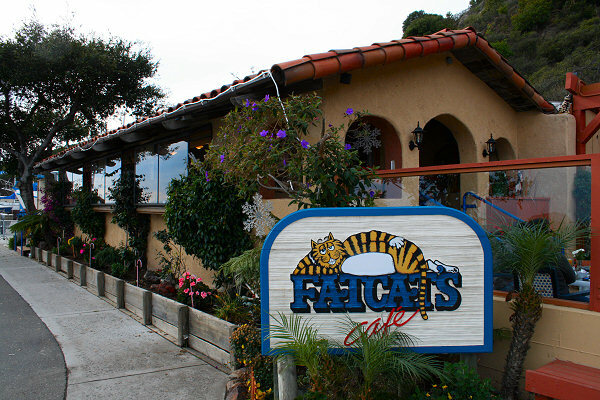 If you head all the way out past Avila Beach and down to Port San Luis, you'll find a little cafe called Fat Cats just before you reach the pier at Port San Luis. Breakfast is served all day, and they do a great job! Another spot I love for breakfast (but this is a bit unconventional!) is Rudy and Angie's restaurant in Grover Beach. It's a Mexican restaurant, but they also happen to have a lot of very traditional American breakfast items on their menu. OK, it always makes me laugh when they offer me chips and salsa at 7 AM... but their breakfasts are great and there's always lots of food! Give it a try sometime. They're located in the shopping center, just behind McDonalds, on Grand Avenue at 16th Street in Grover Beach. Looking for a hotel or motel in our area? Check out a few places I recommend... and, of course, they allow dogs!